Denying or shutting down feelings and emotions can block energy, growth and important signals. Vital engagement usually involves witnessing feelings and emotions in ways that support healing or action, as needed — and even tapping their potent energies to serve life. So promote healthy engagement with feelings to support people’s clear caring energy, attention, and realization. How can we become witnesses of and companions to our feelings as we go through life? How can we keep people’s reactivity – e.g., “getting triggered” – from getting in the way of what needs to happen here? How can we help each other “feel the fear and take action anyway”? How can we use the disturbances that come up for people in this situation to help them understand themselves and the situation more deeply? How can we free ourselves from past traumas that undermine our joy and effectiveness? How can we creatively use the power of our emotions as wind in the sails of our work for the world? How can we feel more deeply into the energies and opportunities in and around us, to better guide and empower what we do here? Lots of stuff has been written and done with this idea of working through feelings. Feelings are a source of richness in life, they are also a source of problems in life. To the extent we are trying to create orderly environments in organizational settings and communities we tend to want people to keep their feelings under control. Very often that means suppressing them and blocking them. One issue that particularly arises between men and women is that women are trained and inclined to be more open with their feelings and men are trained and inclined to be more closed down about their feelings, sometimes to the point of not even knowing what they’re feeling or how to talk about their feelings. That shutting down or denying feelings blocks their energy. There is no longer a flow of energy through their lives. “Emotion” derives from “motion”. The “e” is a Latin prefix meaning “out”. So we can say that “emotion” is what the motions and motivations of life come out of. Emotions and feelings are a primary source of the activities of life. So when you suppress or close down emotions, pains and other feelings – which are often there to communicate that something is very right or very wrong – it blocks the flow of energy and motion. Since emotions and pains and other forms of feeling are usually telling us something, there is information in them. They contain demands on our attention; it’s like they are saying “pay attention and find out what’s going on!” When we shut them down, when we cut off the symptom, we never a chance to find out what the cause is. Sometimes feelings can be intuitions, too, just like a hunch, a gut feeling. It’s like these things are calls to pay attention and gather our energies in particular ways and to move differently in life. So that seems to imply that we should always track our feelings, open them up and see what’s there. But that takes time and attention and the right environments to do it well. So it is totally legitimate to set aside your feelings if you’re in a scene where in order to accomplish what you need to accomplish you need to keep moving. It’s totally okay to keep moving through these feelings that feel like they might get in the way. But then you need to take time at some point to notice them, to check them out. That is a main reason why people go to therapy, to have some time and space to deal with their feelings. It can be more integrated in life than that. You can talk with your partner or your spouse, go with good friends out to the bar to talk, or sit and meditate and get into where these feelings are or where they are coming from. There are all sorts of different approaches but it’s important to have time and the right circumstances to do that work. 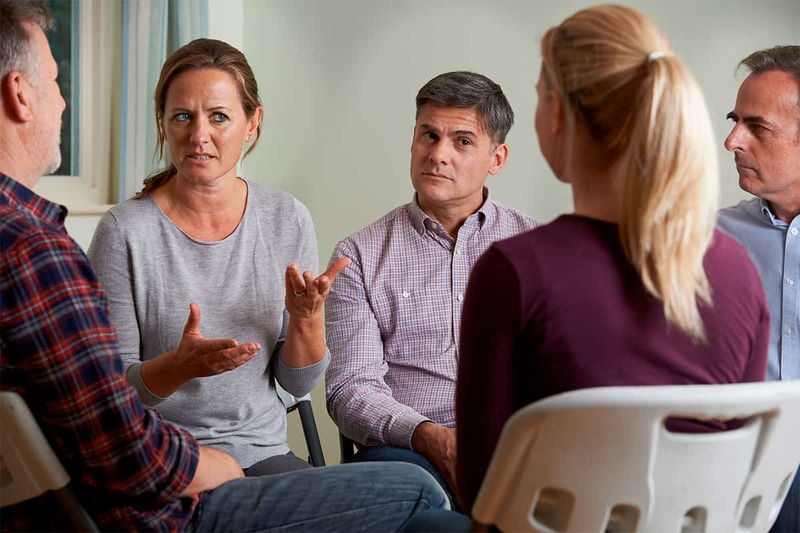 In some groups that are partly organization and partly community, people take time even during their work – their efforts to accomplish things – to talk about their feelings. Also there may be somebody else in front of you who is talking about their feelings and that’s not the time for you to talk about yours. It is time to listen to them. So it’s important to be able to manage your feelings, to find the right time and place and form for their expression. There is a whole capacity called emotional intelligence which includes being able to manage your own feelings, where you can delve into them and address them appropriately depending on the circumstances. Also it helps you find the circumstances that allow you to delve into them productively. So we are dealing with the dance between expressing and acting on your feelings, and suppressing them or holding them down because they’re inappropriate to this particular situation, and also actually seeing what they’re calling for and dealing with the larger causes of your feelings. In order to tap the energy and attention that people have to offer to make a better world and better lives together, we understand and honor this multi-aspect way of dealing with feelings, and we put it into use in a variety of ways. One obvious discipline relevant here is emotional and anger management. Very often people celebrated as being brave – people who went into some disaster area and did something or were soldiers in battle – when asked about their courage, say they were terrified but they went ahead and acted anyway. They acted on a very different level than where their fear was happening. Constellations work, Social Presence Theater and Focusing remind us that “feelings” aren’t only emotions. They can be intuitions, “gut feelings”, bodily sensations or “a felt sense” – all of which offer potentially vital information for us to take into account. Joanna Macy is a Buddhist systems thinker and change agent who’s developed a number of practices around this dynamic of feeling our feelings fully and taking action. In the 1980s she developed a process called Despair and Empowerment Work which supported people who are facing the nuclear destruction of everything they value. It was so gigantic for many to really feel and see that, that they shut down, they denied it, they went about their daily lives without facing it because it was so terrifying and so invalidating of everything they loved. The despair when they looked into it was so total that they simply couldn’t deal with it. So her despair and empowerment work helped people come together who have this dynamic going on in their lives and who recognize it and want to move beyond it. Practically everybody has this dynamic going on in their lives in some way or another but barely recognizes it. In Macy’s workshops, such people feel the fullness of their despair together, support each other in feeling and watching that despair, in feeling what it is and does in their lives and then, through the release of that, becoming able to go through it and experience working through it together. This is that kind of “working through feelings” – experiencing feelings deeply – and doing it with each other. You don’t want do this alone and get totally lost in the swamp. And there is similar stuff going on with climate change and a variety of other despair-inducing realities in the world. It is very powerful work. And The Work That Reconnects is another one of her workshops where people are really entering into the depths of our past and our future, where we come from and where we are heading. This is for people who are sensing the potential level of extinction of humanity and of so much else of life on our planet, and to reconnect to the power of life and its evolutionary forms. The aim is then to be able to connect with each other, to connect with the power of life, the threat of life, the urges of life in order to empower ourselves to become active change agents in the world. So those are very powerful activist oriented forms of working with feelings and through feelings. Active listening of course is another approach. To the extent you and other people can really witness what’s going on with you, the power of those dynamics to control your life and attention diminishes dramatically and sometimes totally evaporates. So having somebody listen really well to the point where you really feel heard is a great way of working through your emotions. Nonviolent Communication is one of the forms for doing that. Somebody is really listening and tracking why you are feeling that way, what are the needs that are being unmet and that you are really longing to have met, tapping into that longing and helping you find ways to realize it, to satisfy it in very deep ways. Focusing is a way to get into the “felt sense” of some issue. It can be a feeling, an emotion, it can be a hunch, or it can be just something right under the surface that is present whenever you think about the situation. There’s an intuitive hit, and you wonder “What’s that? !“ Getting into that and deepening into the sources of it – that’s definitely working through feelings, although they may or may not be emotions. Psychotherapy can be useful if you have somebody who knows how to be present with you and listen to you. Radical honesty is an approach where we are going to really say what we feel as we authentically meet each other. That kind of totally authentic encounter requires some working through. Support groups are like that. We can help each other as we work through our feelings. People can hear each other and practice listening. It can be a peer group where you don’t need a therapist present. You can just help each other out. On a larger societal level we find coming-of-age rituals where young people move from the feelings of childhood to the feelings of adulthood. Part of growing up is being able to function with feelings surging through you and still be present with what’s going on and what’s needed. And part of growing up is the ability to actually express what you’re feeling in the appropriate ways and appropriate contexts. So a lot of coming-of-age rituals have that: they challenge somebody in a strong way that result in feelings coming up, and then present them with situations in which they have to have to hold those feelings in while they go through things that could endanger their lives if they don’t pay attention. They have to actually go through some tests and then be able to express their feelings fully in the appropriate time and place. I mentioned Arnold Mindell’s World Work process in some of the other patterns. It involves working through feelings that are related to social issues like racism where people are hearing what each other’s worlds are like. There’s a lot of people expressing things, and because of the therapeutic and transformational environment, their expressions turn on responses of other people that are present. Everyone is encouraged to express what they’re thinking and feeling. The purpose is to let all that stuff out, and the process itself and the facilitators and therapists handle it all in such a way that it works its way into greater insight for everybody involved.